Moving a whole business division, including jobs and business processes to a new location is a hard task in itself, let alone the physical aspect of transporting all the office equipment, furniture and many other items that facilitate a successful working day. Unlike a household move, timing and speed is exceptionally important, as every moment wasted could reflect on the office’s work and business. An office removal is not limited to loading all the corporate property in a number of boxes and vans, but it is about careful planning and a step-by-step process for a smooth and swift move that only a professional removals company can deliver. Skill, preparation and time are the key ingredients that a specialist in office relocation, such as House Removals, can offer to clients. Once you have decided to use professional help for you commercial moving, you will have to select a removals company that will best suit your corporate plans, one that is good enough to provide problem-free removal services. While there is certainly more than one firm on the market, not all have the skilled labor and capacity to provide a top-notch performance. If you do not have insight from affiliate referrals, you may want to review customer feedback and testimonials that former clients have shared on the Internet. Such comments will give you a general idea of the office removals quality and expertise. Top companies, like House Removals have real opinions, posted in the net, that reflect not only the satisfaction of former clients, but the professionalism of the movers as well. Most moving processes have several fundamental stages that are common in all cases. Yet, it is up to the customers to decide at which stage they would like the help of a corporate removal expert. It would be wise to opt for a firm that has a wide selection of removal services, thus ensuring you can receive quality assistance for everything you want. House Removals understands that every customer may have specific needs and requirements for his or her relocation and has devised a set of full-cycle removals to choose from. 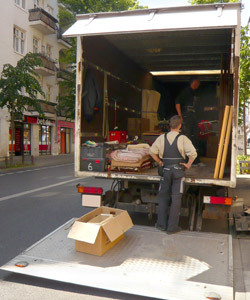 Besides an extensive list of packing and boxes services, together with fast and efficient loading and transporting, our company is ready to deal with any extra prospects that are associated with commercial moves – such as organizing special permitting, parking or moving certain equipment – should the client require such help. Office moving requires excellent organization, in order to ensure quick and effective relocation that will not disrupt your business. An experienced removal company recognizes the importance of great time management and has the proper task force to deal with the entire move as quickly and trouble-free as possible. As a top corporate removals firm, House Removals works closely with you to devise the optimal relocation strategy that will best fit your projects and deadlines. We have the manpower, resources and expertise to plan, administer and carry out a successful move, while you and your employees continue to work, undisturbed. We’re Experts at Handling Office Furniture, Equipment, etc. Furnishings in an office environment often require specific handling in order to be unmounted, transported and refitted. The movers who deal with your office removal should have the know-how in fitting and configuring these types of furniture. The excellent team of House Removals has the proficiency to deal with such pieces and will do the necessary dismantling and joining of the individual components of the desks, units and screening systems. Some of the elements of the corporate interior can be quite large in size and shape. Such cases involve a specific tactical approach when transferring, so that there is a limited chance of scratching and damage. The professionals in our removal company are experienced in handling bulky furniture and are capable of moving it without any risk of harming your property. Many offices have fragile items for decoration or other purposes that demand great attentiveness in transportation. Our top removals service uses excellent packing supplies and materials, making sure that such objects are moved safely to your new office. Another particular feature of corporate furniture is that there are many expensive machines and equipment that need special handling and installation. House Removals experts are trained to apply the required care and attention to detail in packing, loading and unloading such devices and, thus, avoiding any damage and complication during the office removal. Any removals company needs the appropriate vehicles and manpower in order to make the best office moving possible. House Removers realizes that without quality means of transport and highly-trained staff, they cannot stand up to the market expectations. For this very reason, our company has invested in modern vehicles to facilitate our workers, together with a large selection of superior packing materials to keep the client’s property safe and secure while in transit . House Removals insists that the employees of a business are the key to successful delivery of a superior removal services. We seek only the most experienced movers to join our team of skilled professionals. Furthermore, our men are polite, discrete and responsive to all tasks that you may need done on the go during your business’ moving. Cost is an essential consideration when making your choice of an office relocation specialist. You may use online resources to receive a free quote or contact the removals company directly. In an effort to facilitate your choice, House Removals has provided an easy-to-use online tool that will estimate the overall price for you. Moreover, you can use our email or telephone contact to get in touch with our friendly salespeople and discuss a cost-effective plan, tailored specifically for your business needs. Our call center is ready to respond to any questions you may have and help you arrange the commercial removal to your new corporate location.